This isn’t for the timid. It’s a lot of plugins and a lot of numbers on the display. If you like your boxes just fine, then ignore this post. But if you want more precision that a numerical countdown will give you, read on. Today we’re just going to learn to put your rejuv countdown in the top left corner. Easy, right? 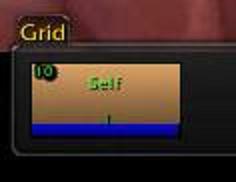 Go to Grid, Status, My Hots, My Rejuv. 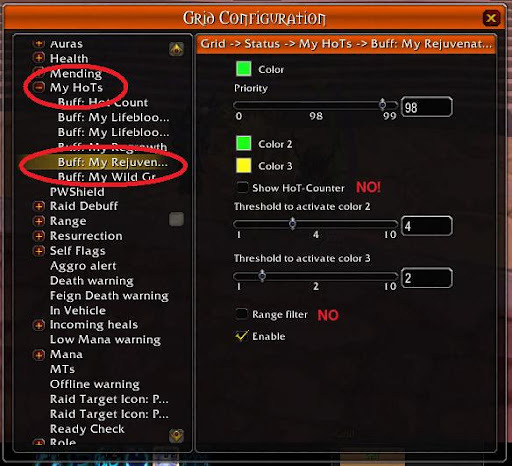 Do not go to the generic Buff: Rejuv under the Auras menu. That is bad. Priority doesn’t matter, because you’re not putting anything else in this corner. Or else! Do not show hot counter. 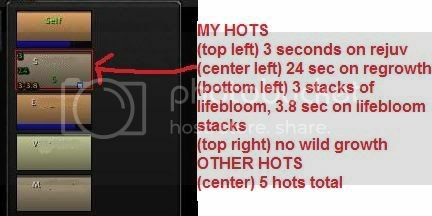 It will show total number of hots next to your rejuv. That totally messes things up and is confusing. Do not check range filter. You want to see who has a hot even if the person moves out of range. So you know whether you need to chase after him or not. Colors! This is cool. You can set the color to fade when the hot is about to expire. I have it set so it doesn’t do much at 4 seconds, but fades to yellow at 2 seconds. First, you need to make sure that there’s nothing else in that corner. The last thing you need is a big ugly box showing up and obscuring your nice little ticking number. 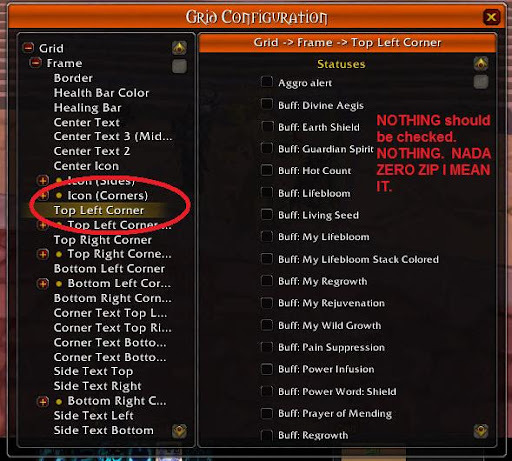 So find the option for putting a box in that corner and uncheck EVERYTHING. 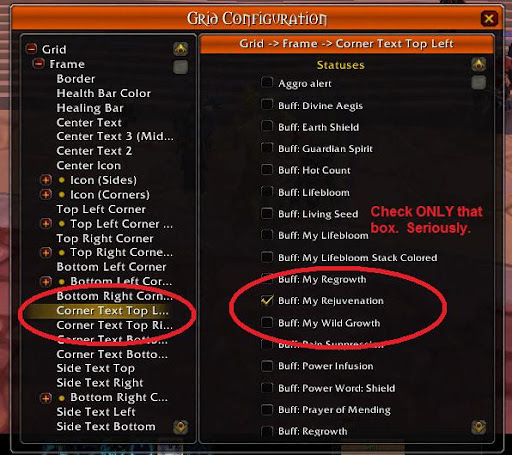 Now, go to the corner text option and check your buff. 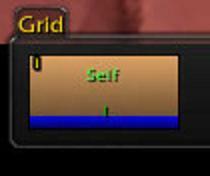 Remember – don’t check the generic buff aura. It’s MY rejuvenation, not just Buff: rejuv. 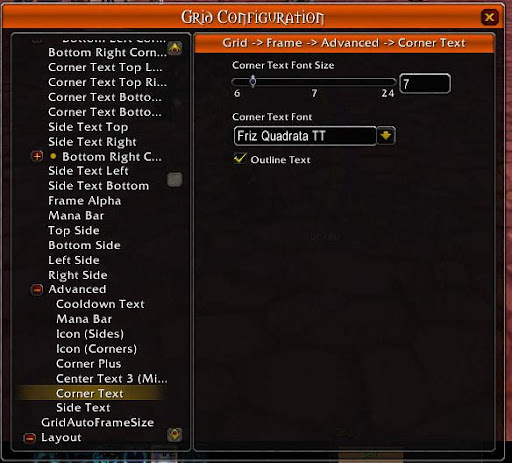 You might want to configure your text, which is easily done (Frame, Advanced, Corner Text). See, isn’t this awesome? You want this, you know you do.